Kim Kardashian and Kanye West have fittingly named their second child "Saint," but I'm sure you don't care about that—and neither do I. Unfortunately, regardless of our pop culture interests, we're forced to know these types of stupid facts because the internet is so densely populated with Kardashian-related content that it's impossible to avoid. It's enough to make you puke. Luckily, there is an iOS application that can solve this annoying issue once and for all. At least, when it comes to Safari on your iPad, iPhone, or iPod touch. 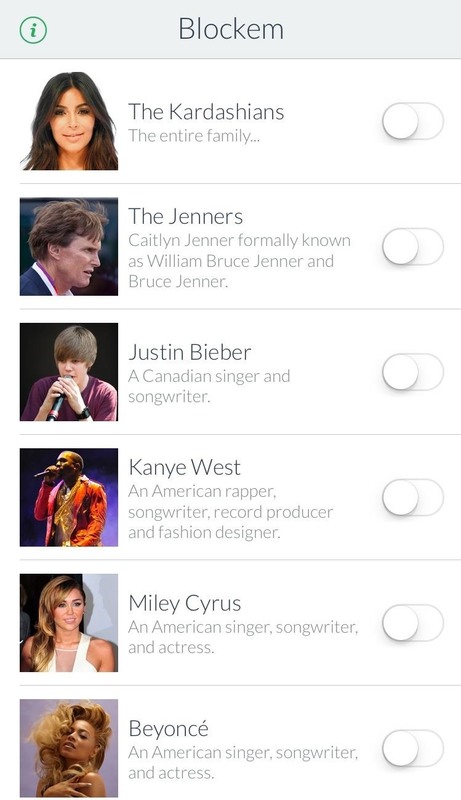 With it, you can block all Kardashian-related news or posts, as well as any other irritating celebrity for that matter. 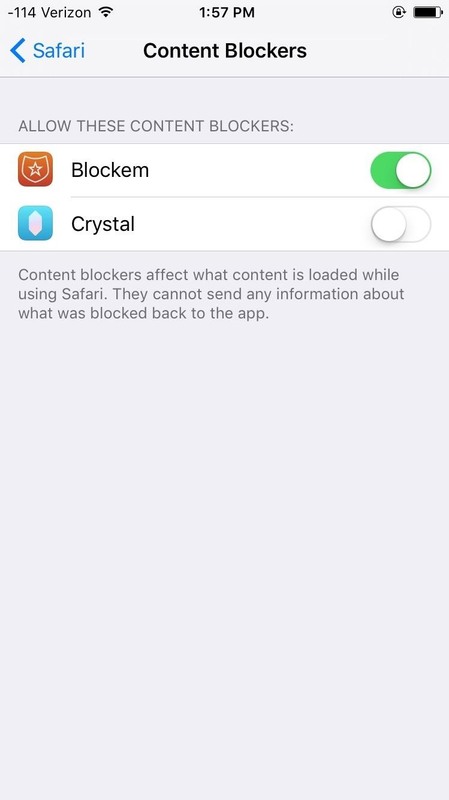 Blockem is a free content blocker for Safari, available on the iOS App Store from development team AppFlume. It does not work within native apps, so you'll still have to bear with all those bothersome posts on Facebook and Twitter. Note that because Blockem is a content blocker, you will need to be running iOS 9 or higher. 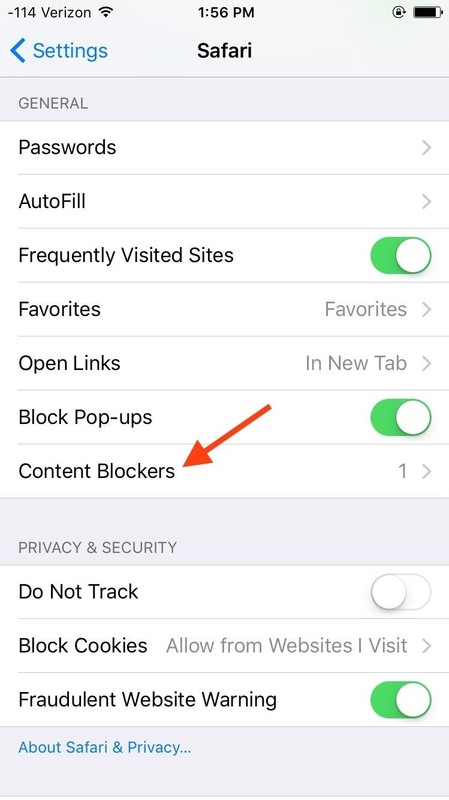 To get your new content blocker functioning, go to Settings -> Safari -> Content Blockers, then toggle on Blockem. 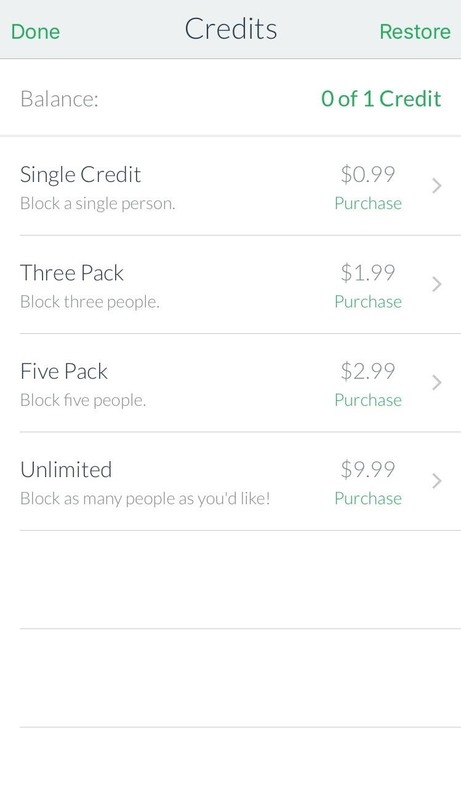 Although the Blockem app is free to install, you'll need credits to actually block content. Fortunately, you get one free credit/block if you simply share the app on Facebook or Twitter, which is enough to block the entire "Kardashian" name. Other available filters include people such as the Jenners, Justin Bieber, Kanye West, Miley Cyrus, Beyoncé, Lindsay Lohan, Angelina Jolie, Madonna, Nicki Minaj, Iggy Azalea, Scarlett Johansson, Lady Gaga, Jay-Z, Demi Lovato, Selena Gomez, the Duggar Family, and Scott Disick. 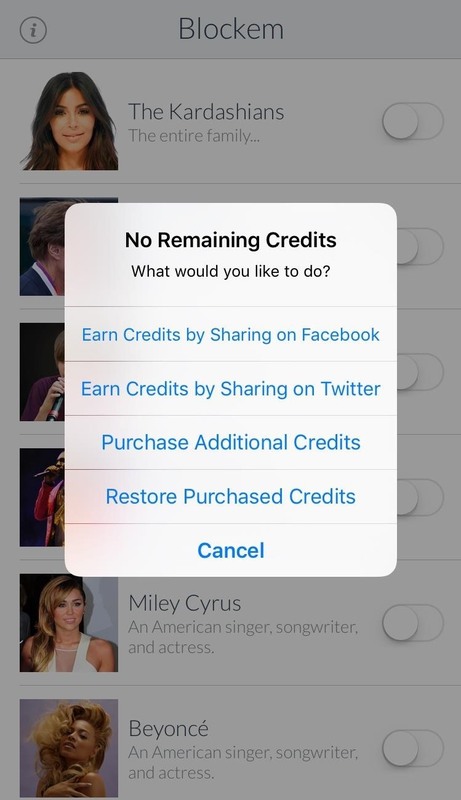 Additional credits can be purchased for as low as $0.99 using an in-app purchase. If you hate enough celebrities, and get all of your news from browsing on Safari, it's definitely worth the consideration. 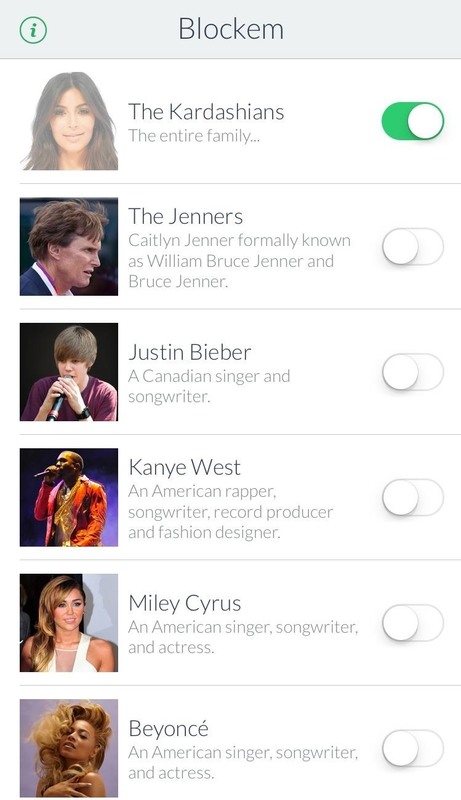 After enabling the content blocker and choosing your celebrity, simply browse Safari. As mentioned in the app, some target content might not be blocked, and the blocking might actually change the look of the layout on some sites. Using it myself, it worked just fine. If you're sick of this Kardashian-centric culture, definitely use Blockem to rid them from your browser, and pray for a device-wide solution.